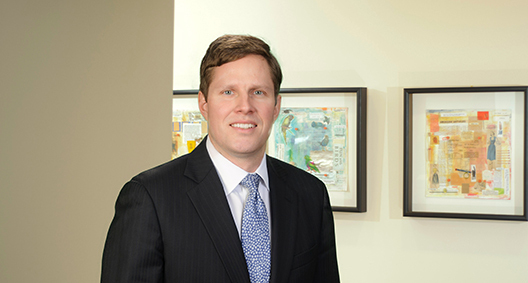 Chris Wiech’s practice is multifaceted, focusing on high-stakes litigation, data privacy and security, technology transactions and corporate compliance. His emphasis on technology makes him popular among company leaders who require discerning counsel in today’s fast-paced information economy. Certified as an Information Privacy Professional by the International Association of Privacy Professionals, Chris is an authority on a range of compliance issues; he has a particular focus on state, federal and international privacy and data security matters, the internet, e-commerce, cloud computing, social media and records management. He also advises clients on the minefield of legal and regulatory challenges that face emerging industries, including IoT, digital currencies and blockchain technology. Also a trial lawyer, Chris has tried technology and business disputes in federal and state courts and arbitration tribunals throughout the country. Counsel to cloud-based software vendors regarding data breach incidents and resulting litigation. Counsel to a mobile electronic health records software company. Trial counsel for one of the world’s largest producers of shelf-stable and fully cooked food products. Brought and defended multiple contractual and business tort claims in federal and state courts and arbitration on client’s behalf. Counsel to a consumer financing provider regarding data security and privacy matters. Counsel to one of the nation’s largest home builders on technology licensing agreements. Trial counsel in successfully defending patent licensee against breach of license and patent infringement claims brought by publicly-traded licensor of healthcare field operations tracking technology. Trial counsel to New York-based enterprise software developer in litigation with State of Georgia over implementation of complex state-wide software solution. Counsel to world’s third-largest travel services company in dispute with large IT solutions and services provider over implementation of multimillion-dollar integrated telecommunications software system. Counsel for transportation logistics company in litigation involving software licensing dispute and copyright infringement claims. Counsel to inventor and patent holder of automobile VIN laser etching technology in action against U.K. company for patent infringement, breach of confidentiality agreement and trade secret misappropriation. Counsel to clients before the Trademark Trial and Appeal Board of the United States Patent and Trademark Office, in actions challenging or defending trademark registrations. Counsel to healthcare provider regarding HIPAA compliance. Counsel to telephony software provider and licensor in pursuing claims against a licensee for breach of contract, copyright infringement and violations of the Defend Trade Secrets Act. Counsel to home healthcare customer relationship management software in litigation with competitor regarding Lanham Act claims. Counsel to financial institutions on FinTech matters, including hosted services agreements and payment card network agreements. Counsel to clients challenging or defending trademark applications or registrations before the Trademark Trial and Appeal Board of the United States Patent and Trademark Office. Counsel for multi-billion dollar global technology services provider lawsuit brought by major retail sports marketer alleging failure of SAP ERP software implementation, seeking in excess of $10 million in damages. Counsel for nationwide commercial transportation insurance wholesaler. Defended multiple contractual disputes in federal and state courts on client’s behalf. Counsel to a major cable television company in an adversary proceeding initiated by a bankruptcy creditors committee seeking to recover more than $100 million. Obtained summary judgment in client’s favor on all claims, which was affirmed by the United States Court of Appeals for the Second Circuit. Counsel to international hotel chain in class action litigation involving time-share resorts and memberships. Counsel for Fortune 500 healthcare company as one of four winning bidders of $4 billion contract award for Medicaid and ‘PeachCare for Kids’ in successfully defeating bid protests of three losing bidders. Counsel in bringing claims of more than $20 million for breach of fiduciary duty against former company officer, and aiding and abetting breach by $2 billion investment fund for misappropriating client’s food product concepts. Defeated defendants’ dispositive motions based on Georgia Trade Secrets Act pre-emption. Trial counsel for one of the nation’s largest publicly-traded REIT’s in fraud action against former executive and general contractor arising out of bribery and kickback scheme. Obtained $2.7 million jury verdict in client’s favor and successfully defended the verdict on appeal. Counsel to chief executive of renewable energy company in suit seeking $1 million under corporate veil piercing theory. Obtained summary judgment in client’s favor on all claims. Counsel to president of software development company sued personally for alleged company fraud. Obtained dismissal of all claims. Counsel for construction company in dispute against former company president involving misappropriation of company funds. Counsel to telecommunications provider and several of its former officers and directors in a suit brought by former minority shareholders. Counsel to officers and directors of mobile electronic health record software company in defending shareholder derivative suit. Counsel to professional sports league in water rights litigation. Successfully negotiated continued use of critical water supply. Counsel to financial institutions and other lenders in commercial foreclosure actions and litigation involving defaulted loans and the recovery of collateral. Successfully obtained appointments of receivers and the return or liquidation of collateral. Trial counsel to national retail pharmacy in eminent domain litigation. Obtained appellate court ruling clarifying state law in client’s favor. Trial counsel to owner of retail shopping centers across the U.S. in litigation involving lease disputes, fraudulent transfers and dispossessory actions. Obtained verdicts and judgments ranging from hundreds of thousands of dollars to more than $1 million. Trial counsel to national tax preparation franchisor in franchise dispute litigation.